June 16 "Wine Down at Normandy" at 6pm! July 13 Movie Night we will be showing Ferdinand and bring your fun cups! August 11 Normandy Reunion Party – Join former members from every era for an evening of fun! Lifeguards will have a special something for the kids at the 1, 2, & 3pm adult swim times. Past treats included popsicles, candy, and root beer floats. 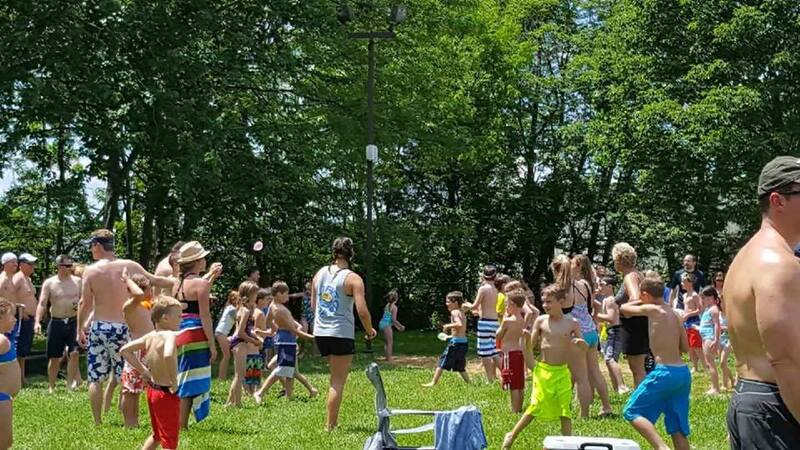 Lifeguards will have wild and wacky games at the 1, 2, & 3pm adult swim times. These games are perfect for kids of all ages and often are out of the water. 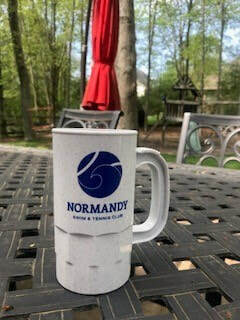 ​Each season Normandy sells a Fun Cup to adult members. This allows adult members to enjoy provided keg beer at certain parties throughout the summer. Fun Cups are included in the spring adult Frog Man admission. They can be used at the Frog Man event and all Fun Cup Summer Party events. If you sadly can't attend Frog Man, they will be available for purchase during the summer. 2017 Fun Cups - Hand down to your children. They can use for some FUN lemonade at Family Bashes.